People love zombies, it might sound a little weird (or… maybe not) but one thing is clear: In a zombie apocalypse we would know what to do. Comics, books, video games, tv shows… millions of stories have been written about how to survive if our beautiful planet is invaded by those… “walkers”. At a first glance, stories in which zombies are involved may look rather simple. You expect horror and action and that’s about it. But at a closer look, zombie stories that are done well, are quite full of complex meanings. The core of a zombie story, the actual meaning behind the writer’s words, is survival and the immense cost of it, when everyone goes crazy and rules and laws as we know them do not apply anymore. What would you be willing to do, to make it to the end of the story? 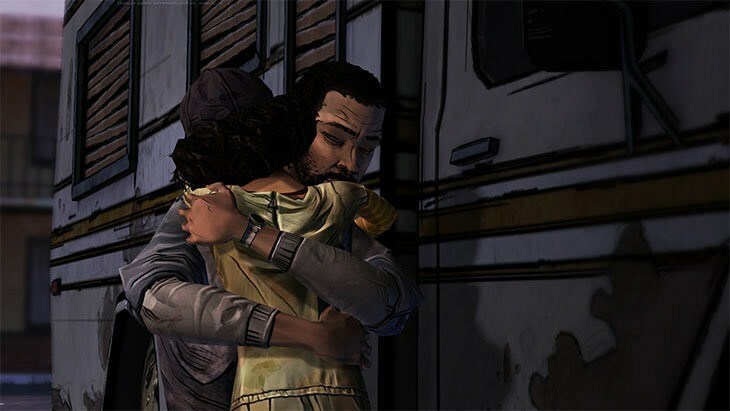 Telltale Games saw the opportunity of creating a complex and different story about survival, with one advantage video games have over other storytelling mediums: Giving people the power, the chance to decide how, they want the story to evolve and how to react in extreme situations and immersive branching scenarios. Welcome to non-linear storytelling! “In The Walking Dead game series, Telltale provide us with Lee, an intriguing lead character – who for once isn’t a typical, white soldier-dude, but an African-American ex-history professor and convict with a sketchy past. Lee is roped into looking after a little girl, Clementine, recently orphaned, like most of the world, due to the undead. Not only is she one of the most realistically created children in video games, but for once, she’s not merely a vessel for creators to point to and say “Feel sorry for that! Look at it! It’s a small person! Care!” – Tauriq Moosa. You will care… not because writers force you to care about her, portraying her as a poor little orphan girl in a dangerous world. You will care about her because she is strong, but at the same time, fragile. She is smart and her character will inspire you in a powerful way. Most importantly, she is shaped by the decisions you make in the game. The choices you make in this game, matter. From the very beginning you will be required to make both important and small decisions as well, each one affecting the course of the story. Every wrong decision can come back to haunt you. “Kenny, a man I met early in Episode 1, was fast becoming my friend – despite my decision not to save his boy. The boy was saved, but regardless Kenny never forgot I chose to save another’s life. Kenny, despite this, offered to help me since he recognised that situation being neither black nor white, though he tended to forget this when he wanted to chastise me. Because of Kenny being forgiving and aiding, I came to his defence when we met a new group of survivors; I showed loyalty, checked up on his family and generally did the best I could.” – Tauriq Moosa. You are free to choose, but you are not free from the consequences of your choice. Like in real life, right? That is why non-linear storytelling in video games is different from everything else. Just like in real life you might be thinking if your choices were the right ones, what would have happened if you made a different decision. Your actions have consequences, if you choose the wrong path, you could find yourself trapped and have to face those consequences. “However, he began saying some pretty irrational things in Episode 2 that I thought threatened the group’s survival. However, I didn’t want to make my scepticism of his views public, so I sat on this fence when he came into conflict with the other leader of the group. Eventually, he saw my fence-sitting as betrayal itself and this became a splinter digging its way to the quivering heart of our friendship. In Episode 4, things came to ahead and I, as a player, finally lost it and swore like a pirate at Kenny, shutting him up and, indeed, out of my life.” – Tauriq Moosa. 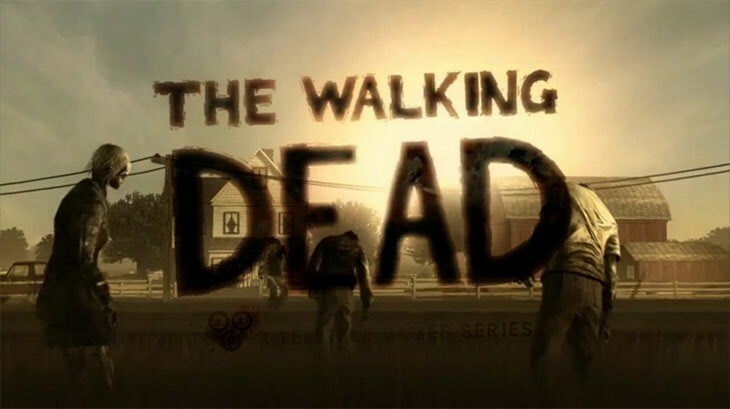 The Walking Dead Game Series is a very good example of non-linear storytelling, Telltale has created an incredible story; depth, brilliance, moving, inspiring… they have seen the power of this medium, the opportunity to place the player in an intense story, where for survival you will do anything, at whatever the cost. 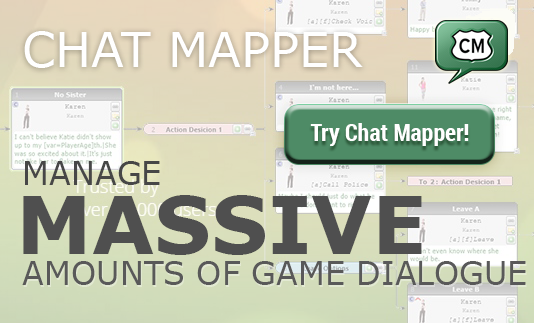 ChatMapper is a full featured visual editor for managing storylines for games. Design realistic non-linear dialogue between characters for video games.